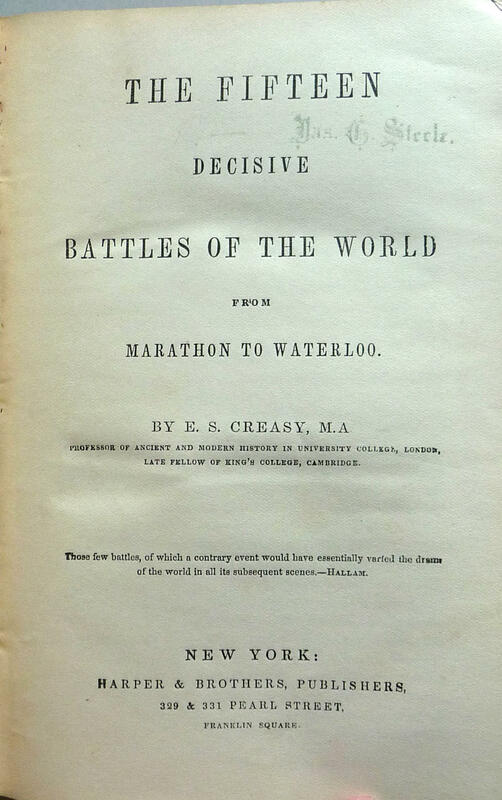 The Fifteen Decisive Battles of the World from Marathon to Waterloo by E.S. Creasy Ca. 1850's. Description: Book has wear to head and tail of spine with tiny chips and tears to the cloth. 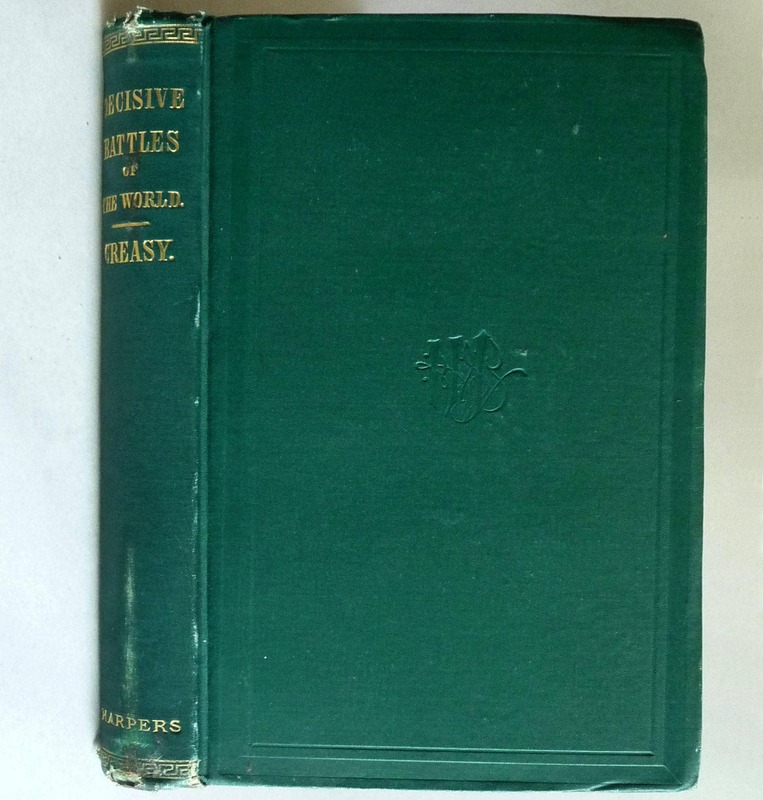 Fore edge corners are slightly curled and worn. Wear to bottom edges of boards and a little along the spine. One bumped spot to the middle fore edge of the rear board. Name stamped on title page and preface. No other marks. 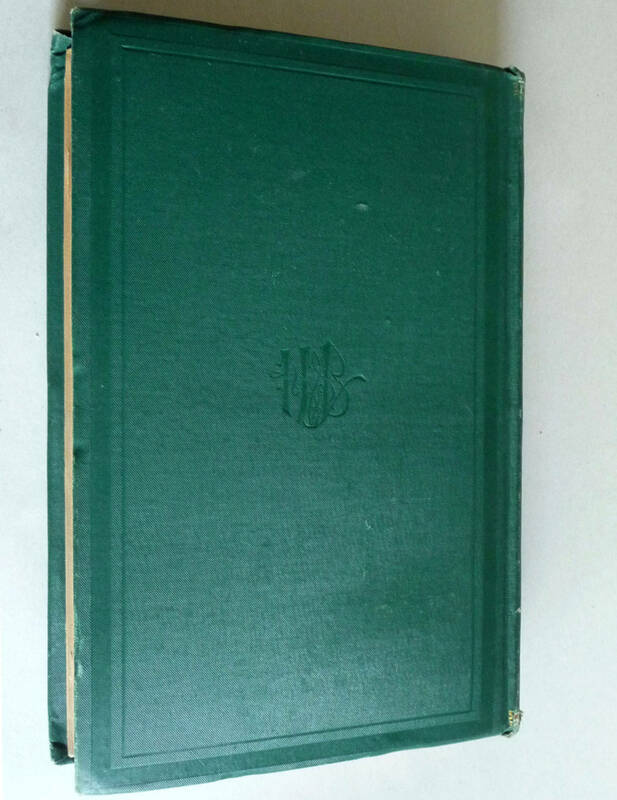 Green cloth with gold gilt title on spine. Gilt is still bright. No date given. The address for Harper is 239 & 331 Pearl Street, Franklin Square. This building was destroyed in a fire in 1853. Pages: 364 Pages + 8 Page Harper Titles Catalog.